Died: February 3, 1924, in Washington, D.C.
on December 23, Wilson signed the Federal Reserve Act creating a central banking system in the U.S. In April, a minor incident in Tampico, Mexico led to a U.S. invasion of a Mexican post city and the resignation of the Mexican president. On June 28, Austrian Archduke Franz Ferdinand assassinated contributing to the start of World War I. On August 15, the Panama Canal officially opened. On May 7, a German U-Boat sank the Lusitania. The civilian deaths, including 128 American, shifted the U.S. sentiments about the war against Germany. On February 24, British officials presented the intercepted and decoded Zimmermann Telegram to the U.S. ambassador to Great Britain. The communique was from German to Mexico asking for an alliance if the U.S. entered the war. It was released to the public on March 1. On April 6, the U.S. declared war against Germany. 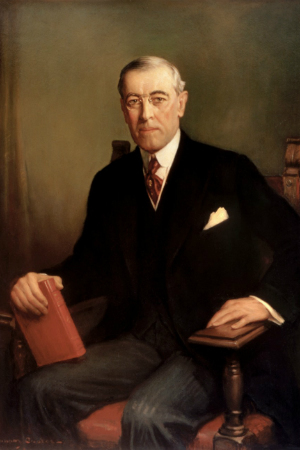 On January 8, Wilson delivered his "14 Points" speech to Congress. Starting in January an influenza pandemic swept across the globe killing 3-5% of the world's population over the next three years. On November 11, an armistice signed between the Allies and Germany ending World War I. 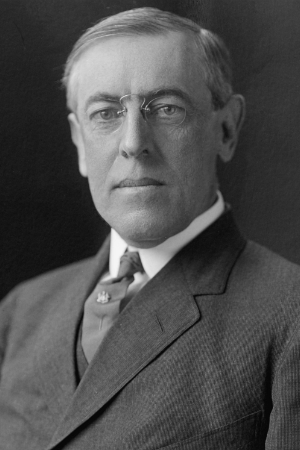 On July 10, Wilson submitted the Treaty of Versailles and League of Nations to the Senate for ratification. 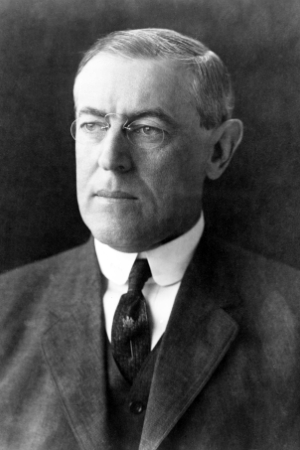 On October 2, Wilson suffered a stroke while traveling to bolster public support for the League of Nations. 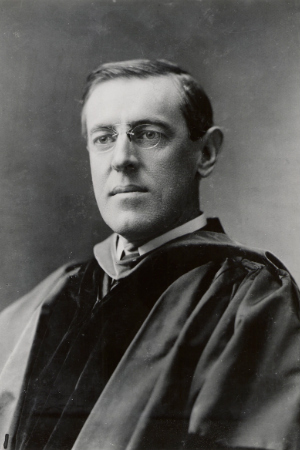 Wilson won the Nobel Peace Prize. Facts about Wilson and his presidency. Tourist information and history of the Augusta, GA house where Wilson lived from 1860-1870. The Columbia, South Carolina home where Wilson grew up from 1870-74. Tourist information and history of the Washington, D.C. house where Wilson lived from 1920 until his death. This Staunton, Virginia site contains tourist information and a virtual tour of the home where Wilson was born. Wilson's 1919 Pierce-Arrow Limousine is the jewel of the museum's collection. 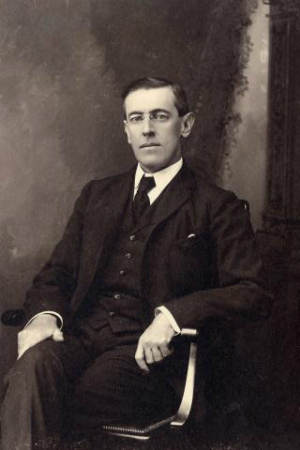 Explore Wilson's life and the global issues during his presidency. 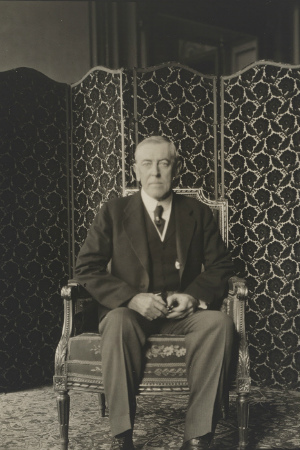 Wilson was the first president to visit Europe while in office. Wilson had a series of strokes in 1919 which left him partially paralyzed and almost blind. His wife, Edith, managed his affairs. Wilson is the only president buried in Washington, D.C.
Wilson was the first president to have a Ph.D.
Wilson didn't learn to read until he was eleven years old. Wilson was the first president to meet the Pope while in office. Wilson was the first president to speak before Congress since Thomas Jefferson.